Thought leadership, program and content development, communications strategy, event production, and social impact initiatives. We are C5 Collective. "It still hasn't hit me yet. I can't wait to bring this championship back to my team and can't wait to be here next year with all of them." 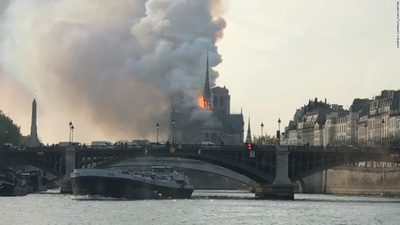 There has been an outpouring of grief and money in the wake of the Notre Dame fire. What does this say about how we process tragedy? Auburn University has been planning a new Culinary Center for campus for close to 15 years. Students can expect a new groundbreaking culinary center in 2021 thanks to funding by the Rane family to begin construction. WHO director-general and Swedish minister for international development cooperation explore how new partnerships and institutional reforms can fight inequality and advance health outcomes. Choosing between a world-class flower festival, Argentine wine harvest or trans-Africa road rally may be tough for travelers, but spring is calling and it's time to make a choice. Auburn basketball head coach Bruce Pearl meets with the media at the Final Four in Minneapolis on April 4, 2019.